Samsung Galaxy Note 3 May Come With 5.99″ Screen and 3GB Ram! While Motorola thinks “bigger isn’t always better” Samsung continues to go with massive screens. The next version of the Galaxy Note series is being rumored to come with a 5.99″ mega screen. The Note2 came with a 5.5″ screen which often gives my thumb cramps, and I often find myself adjusting the device in my hand to reach different things on the screen. 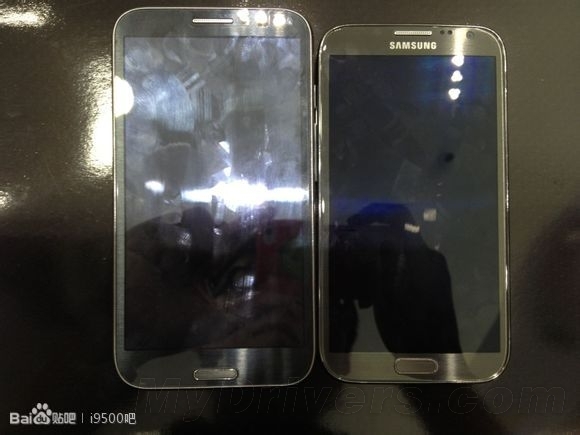 The image above is not of the Note3, but gives you an idea of what we might expect. Three designs are being considered. A Galaxy s4 like design, a totally new design, and a design featuring a flexible screen. This could be great for someone who really wants a tablet but just can’t see the point in purchasing two devices. Other specs said to come with the Note3 include 1080p display, Exynos 5 Octa Core Processor clocked at 2.0GHz, 3GB RAM, and Android 4.2.2. Of course we have also seen other rumors stating the screen could be up to 6.3″ stemming from the Samsung game controller which supports screens up to that size. What are your thoughts. What is the maximum size you would be willing to tolerate from a SmartPhone screen?